Two land corridors preoccupy the minds of Israeli leaders and military chiefs. One is a source of concern, the other is a source of hope: both are connected and derive from the same strategy. The first land corridor, the one which worries Israel, is what it calls the "Shiite Crescent". It has come about through Iranian efforts to take advantage of the civil wars in Syria and Iraq. Tehran has established direct land links from Iran, via Shia-controlled areas in Iraq, to Syria and then on to Hezbollah, its ally in Lebanon, thereby giving it a foothold in the Mediterranean. Iran is a foe of both Israel and Saudi Arabia. Based on the old dictum that “my enemy’s enemy is my friend”, both countries have increased their levels of contact with each other, although most of them are secret and under the radar. But these contacts lie behind the origin of the second corridor. Officially, Israel and Saudi are still at war. Along with other Arab nations, Saudi Arabia sent a small military contingent to fight Israel in 1948 and 1967. It declared an oil boycott on the US and European countries in 1973, in solidarity with Egypt and Syria when they fought Israel. Saudi Arabia, according to Israeli law, is defined as "an enemy state". But since 1981, Saudi Arabia's kings and crown princes have increased their involvement in the Arab-Israeli peace efforts. They have issued several plans to solve the Israeli-Palestinian conflict. The Arab League peace initiative, also known as the "Saudi Initiative", was adopted in 2002 and reconfirmed at another Arab Summit meeting in 2007. The initiative calls for normal relations between the Arab world and Israel, in exchange for a full withdrawal by Israel from the occupied territories, including East Jerusalem. It also suggests a "just settlement" of the Palestinian refugee problem, based on UN Resolution 194, which dates from 1948. Since then, ties between the two countries have evolved around shared interests, especially during the past two decades. In particular, both want to stop Tehran’s efforts to produce a nuclear bomb, as well as its ambitions for regional hegemony, as reflected in its direct - and indirect - involvement in the wars in Iraq, Yemen and Syria. As a result of this shared strategic outlook, Israeli officials, military and intelligence chiefs have occasionally met with their Saudi counterparts. There are reports that Mossad chiefs have met with the heads of Saudi intelligence agencies and the chiefs of its national security council. 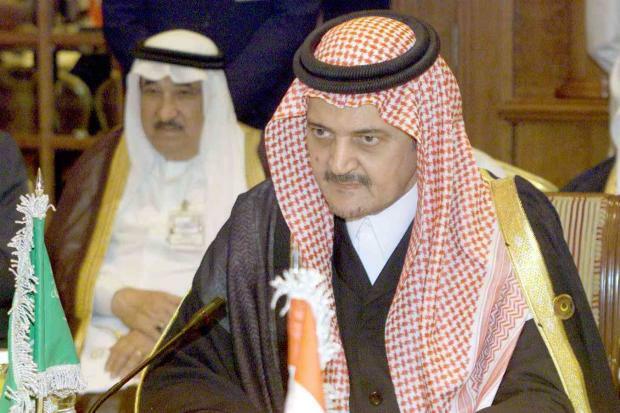 It was also reported that then-prime minister Ehud Olmert met with Prince Bandar Ben Sultan when he was the Saudi intelligence chief and, at the same time, the head of the Saudi national security council. 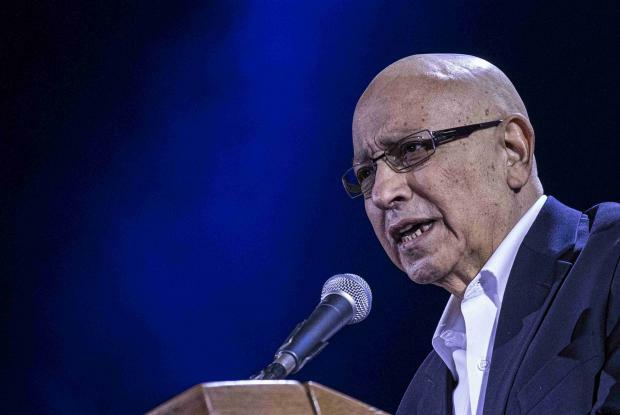 Meir Dagan, when he was head of Mossad from 2002 until 2010, discussed with Riyadh the possibility that Saudi would allow Israeli planes to fly over its airspace, should it wish to attack Iran's nuclear sites. All these meetings and encounters are top secret: Israeli officials know that any confirmation would be highly embarrassing to the House of Saud. Every now and then, an aside throws some light on the situation. During his visit to Poland on 28 June, Yariv Levin, Israel’s minister of tourism, said he had asked the US to help talks between his ministry and several states in the Gulf. It’s here we arrive at that other land corridor: railroads linking Israel, via Jordan, to Saudi Arabia, Qatar, Oman and UAE. Israel has a 60km railroad from the port of Haifa to Biet Shean in the Jordan Valley. It wants to extend the line by another 6km to the Israeli-Jordanian border crossing. This would allow goods to be ferried by train, not trucks, to and from Jordan. A document issued by the government called the "Tracks for Regional Peace", describes Israel as a "land bridge" and Jordan as a "hub". It says that "the initiative will contribute to Israel's economy and strengthen Jordan's stressed economy" and "will connect Israel to the region and consolidate the pragmatic camp vis-à-vis Iran and the Shiite axis". The regional partnership is necessary, the document says, because "fighting in Syria and Iraq has degraded and blocked land transportation routes”. 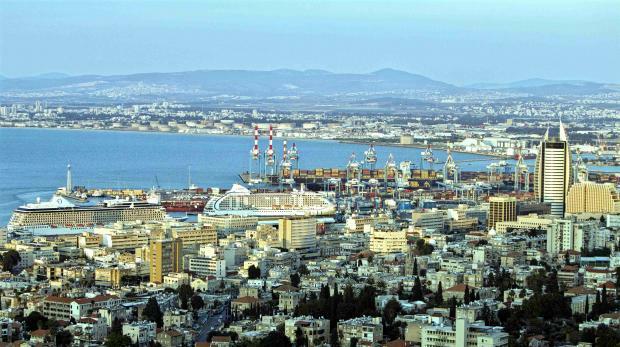 It also emphasises Israel's potential as a "land bridge", providing access to the Mediterranean. This is especially necessary as Tehran’s expansionist policy poses a "threat to sea routes" in the Straits of Hormuz, the Red Sea and Bab-el-Mandeb, which Iran's Houthi proxies in Yemen aspire to control. Yet business ties between the two sides are flourishing even before the Israeli-Sunni corridor becomes a reality. Israel sells agricultural products, as well as intelligence, cyber and homeland security technology to Bahrain, Oman, Qatar and Saudi Arabia and the UAE (the largest market and recipient is Abu Dhabi). Most of the deals are via a third party such as Jordan, Iraq, Kurdistan or Cyprus but some are conducted directly. Occasionally products from Saudi's petrochemical industry, such as raw materials, are shipped via Jordan to Israel. Recently it was suggested that flights by El Al, the Israeli national airline, would be allowed to cross Saudi airspace on their way to India. But such a notion is premature. Saud Arabia, as a guardian of the sacred sites of Islam, would have difficulty selling the idea to the public, especially so long as there is no progress on the Israeli-Palestinian front. - Yossi Melman is an Israeli security and intelligence commentator and co-author of Spies Against Armageddon.